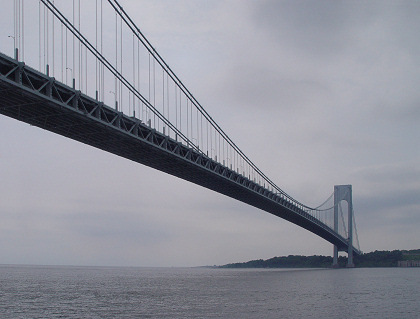 The story continues after this page of pictures of the Verrazano-Narrows Bridge. 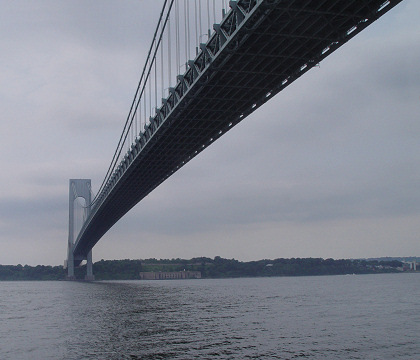 Looking westward toward the Staten Island end of the bridge, both before and after we passed under it. 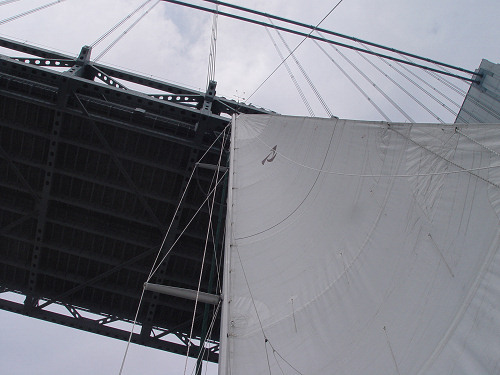 Looking straight up as Pilgrim's mast passes under the deck of the bridge. 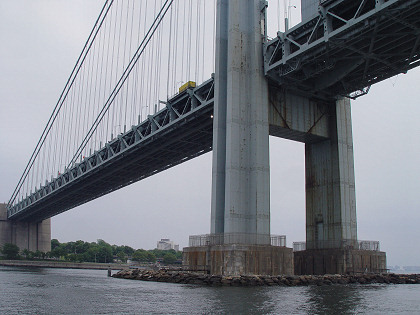 The mast looks like it might hit the bridge, but that's an optical illusion—there's well over 100 feet of additional clearance above our masthead. 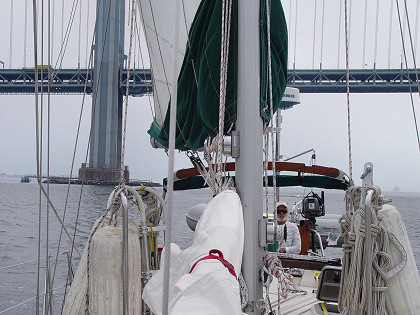 During the day, we motorsailed with the mainsail when the wind could help us out. Looking back at the Brooklyn end of the bridge after we passed underneath. Click on the right-hand picture to see a bigger version; use your browser's "back" command to return here.